Where is the best Sun Peaks beach? That is a question we hear quite often as families head up to Sun Peaks Resort to enjoy all the many wonderful family-friendly summer activities that are available. Unfortunately though, Sun Peaks is a high-altitude alpine resort and there isn't really a great beach for the little ones to enjoy. There are a number of nearby Sun Peaks lakes - some crystal clear, most full of trout, most good for canoeing, kayaking and standup paddleboarding, one that you have to hike Mt. Tod to see, and one, Heffley Lake, that is good for swimming, water skiing, Sun Peaks standup paddleboard lessons and rentals and more. Heffley Lake even has a very small 'beach' area by the parking lot and boat launch area, but it isn't really a Sun Peaks beach that we would recommend for tanning and family sports and picnics. McGillivray Lake is also close by and great for a number of water activities, but not for swimming or picnics. The good news is that the high altitude helps keep Sun Peaks at a comfortable temperature - about 10 degrees cooler than down the hill in Kamloops. The other good news is that there is a really nice beach and family recreational area down in Kamloops - several in fact. 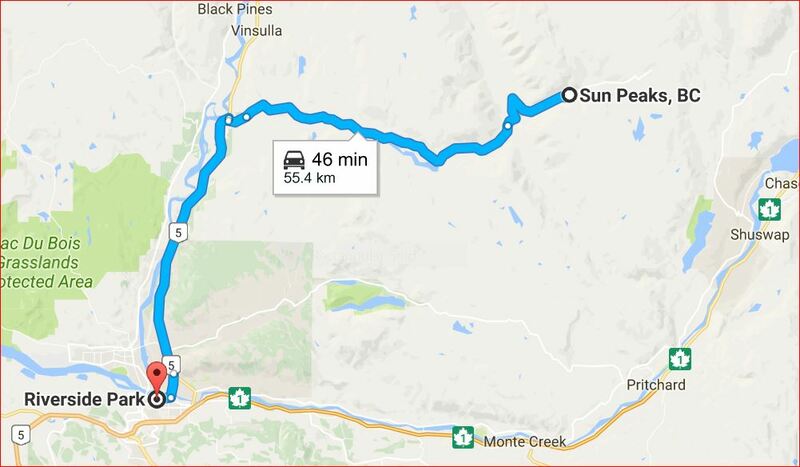 But locals claim that the nearest and Best Sun Peaks beach then, is Riverside Park, which is just a 45-60 minute drive from Sun Peaks. 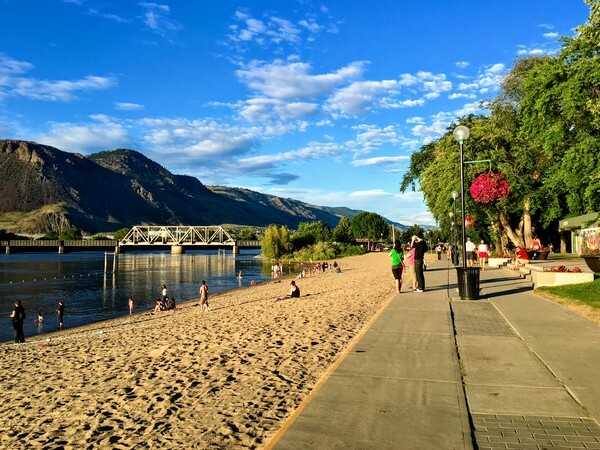 As we mentioned, the nearest Sun Peaks beach that is ideal for families is down in Kamloops, and is about 45 minutes or so down the hill. Continue to the bottom of the hill and turn right by the Heffley General Store and then left onto Highway 5 South. Continue about 20 km until you come to the intersection of Mt. Paul Way and turn right. Travel just under 2 km to Lorne Street West and turn right. The entry to Riverside Park will just be up ahead on your right. You have to pay for parking but it's a beautiful spot to hang out before heading back to enjoy Sun Peaks Resort. While down in the Kamloops area, you will want to perhaps check into The Noble Pig for a nice lunch and some beer samples, or head to one of the nearby wineries for some samples of the newest wine region, the Kamloops Wine Trail. 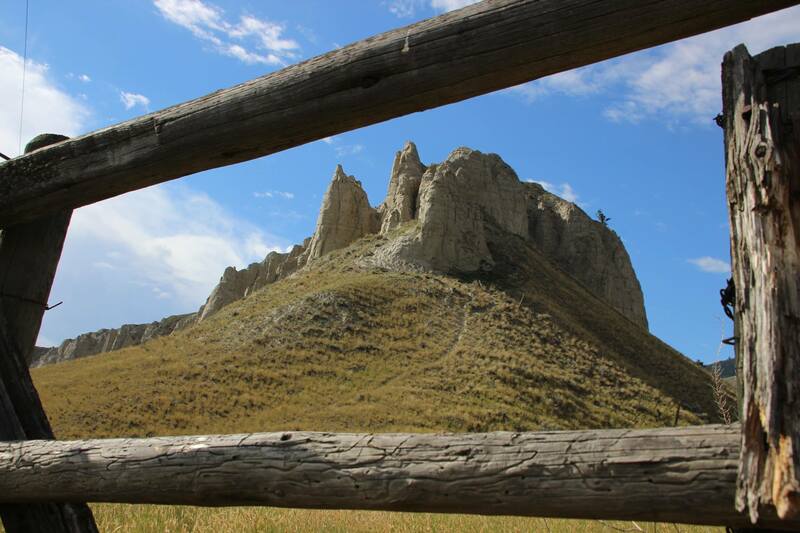 Monte Creek Ranch Winery is nearby, and the route past the Hoodoos to Harper's Trail is very scenic and you may even see some wild bighorn sheep. Or maybe even continue on to Chase to enjoy some summer ziplining.